We wish to thank Mountain High Fire & Safety for their continued support of the Telluride Fire Festival. We are so grateful for their sponsorship as we head into our 3rd annual event. We could not do it without you! 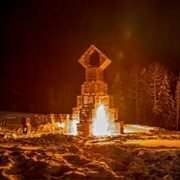 https://telluridefirefestival.org/wp-content/uploads/2017/06/MountainHighFireSafety-web.jpg 129 299 Diana Ries https://telluridefirefestival.org/wp-content/uploads/2017/06/TTFF-no-black-logo-3.gif Diana Ries2016-11-04 15:45:192017-07-21 12:37:06Thank You Mountain High Fire & Safety! Justin Gray Fiery Robots: coming to Telluride Fire Festival Student program was a resounding success!